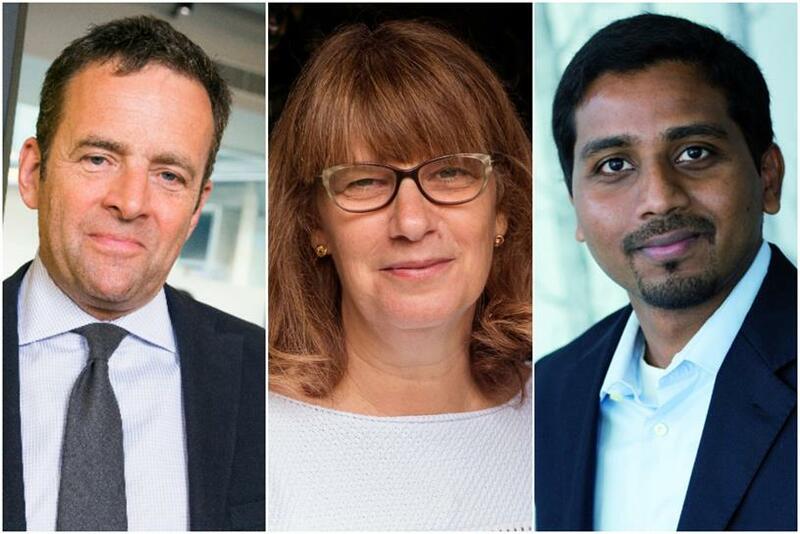 Publicis Groupe has promoted Nigel Vaz and Steve King and hired Lloyds Banking Group marketer Ros King after what chief executive Arthur Sadoun has described as "a challenging but productive year". In results published this evening, the company, which owns agencies including Saatchi & Saatchi and Zenith, announced revenue fell by 3.9% in 2018 to €8.96bn (£7.9bn), although it rose by 0.1% at constant exchange rates. Lloyds director of innovation and communications Ros King is joining Publicis as executive vice-president of global clients. Based in New York, she will report directly to Sadoun, who will now personally oversee the transformation of the group’s relationship with its top clients. Steve King, chief executive of Publicis Media, becomes chief operating officer of the group; Vaz, chief executive of Publicis.Sapient EMEA and Asia-Pacific, is now chief executive of Publicis.Sapient. Alan Wexler, Publicis.Sapient’s former chief executive, is moving to chairman. He will work directly with Sadoun on selected client transformations. Ros King, who transformed Lloyds’ consumer engagement, is a former managing director of Ogilvy’s American Express account and president of JWT Chicago. The appointments come as Publicis continues to struggle with the performance of its traditional ad agencies, which also include Leo Burnett and Publicis Worldwide. In his revenue statement released today, Sadoun admitted: "We suffered from higher-than-expected attrition in traditional advertising at €150m, mainly from several CPG [consumer packaged goods] clients in the US. This is a broad industry challenge as competitors, our clients themselves and the press have been saying. We are taking strong actions to overcome it." However, Sadoun added the group’s model to bring together data, creativity and technology is "working beautifully" and claimed this had helped the business bag "the majority of the biggest pitches of 2018". This includes Daimler, Campbell's, Marriott, Carrefour, Cathay Pacific, The JM Smucker Company, GlaxoSmithKline and Fiat Chrysler Automobiles. "Those last two wins represent more than $1bn in billings each," Sadoun said. Publicis' revenue generated by "data, dynamic creativity and business transformation" rose 28% in 2018, with net revenue generated by these activities totalling about €1.05bn. This represents 18% of the group’s total net revenue with its top 100 clients. Organic growth excluding pharmaceutical contract commercialisation services arm Publicis Health Solutions – which is being sold off – was 0.8%. However, this slowed in quarter four, with just 0.5% growth compared with the third quarter’s 2.2%. In Europe, Publicis reported €2.6bn in net revenue in 2018, up 1%. Organic growth in Europe was 1.4%, or slightly lower – 1.3% – when Publicis Health Solutions was excluded. The strongest organic revenue growth was reported in the Middle East and Latin America – 4.6% and 4.5% respectively. North America and Asia-Pacific reported organic revenue declines of a respective 0.8% and 1.8% – although these were exacerbated by exchange rates in the reported figures. The group made €194m of savings, following "structure simplification and the rightsising of some operations" and, out of this, €109m was reinvested in talent "and our game-changers". Publicis ended the year cash positive at €196m, which Sadoun described as "a big strength at this time of economic uncertainty" and announced a €400m share buyback.